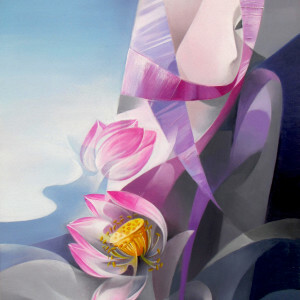 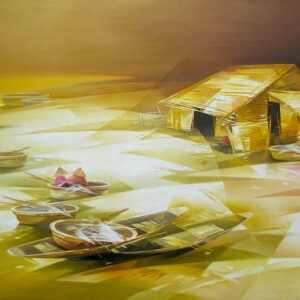 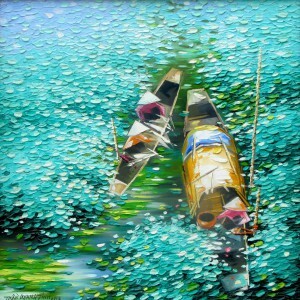 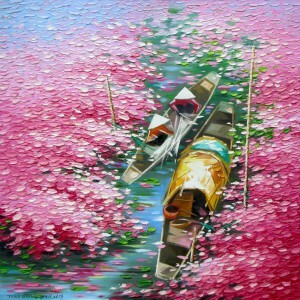 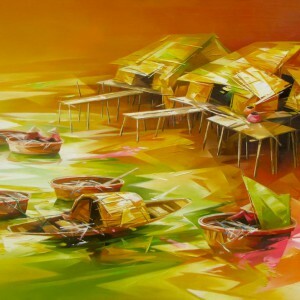 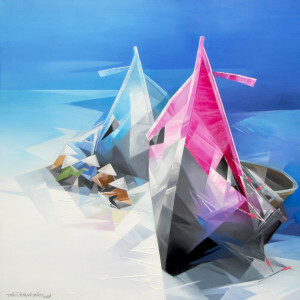 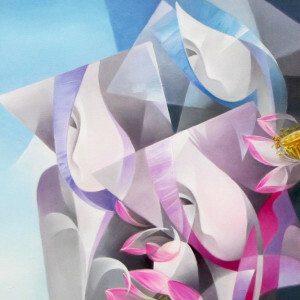 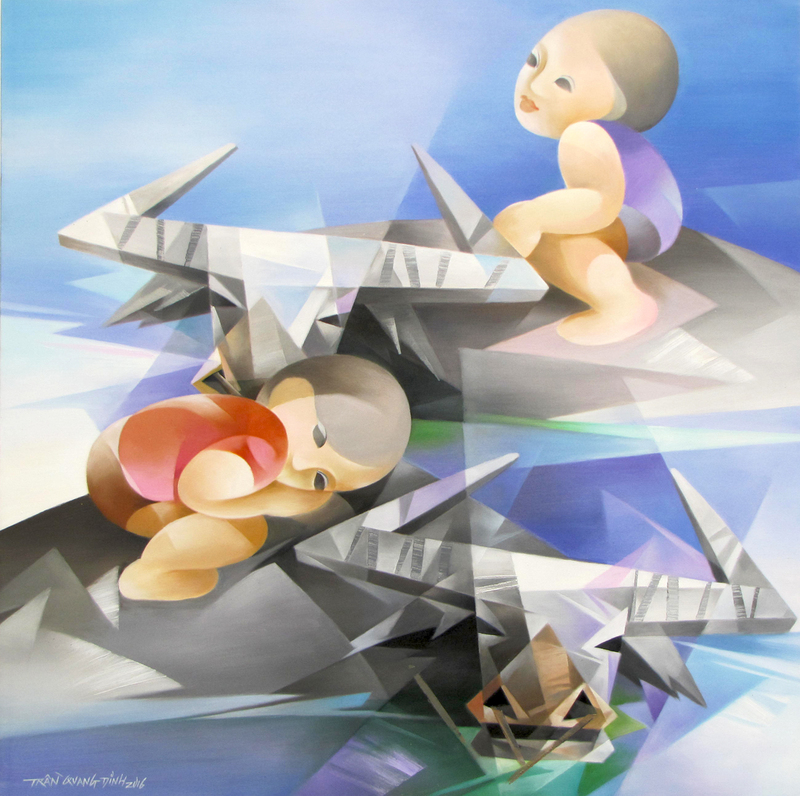 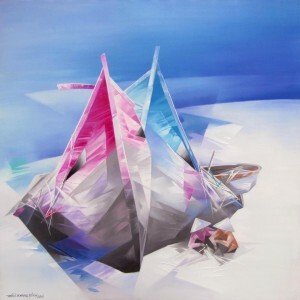 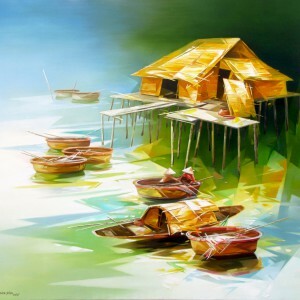 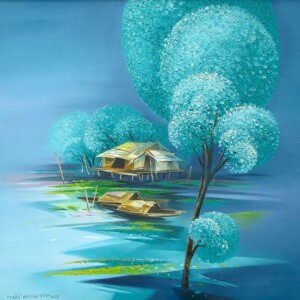 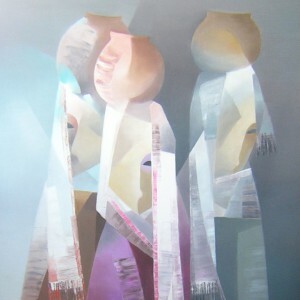 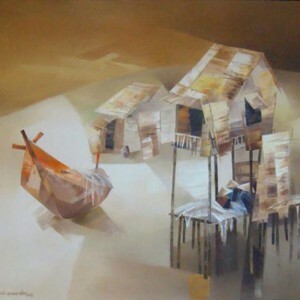 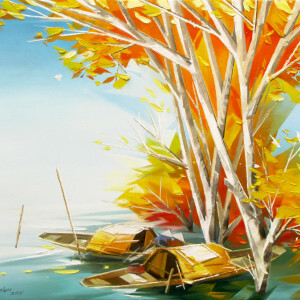 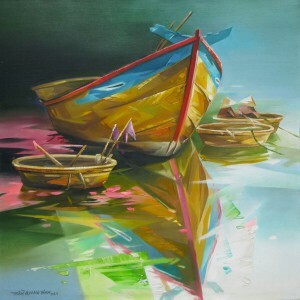 Contemporary Asian artist, Tran Quang Dinh paints traditional Asian themes in a stylized way giving them angular shapes and unrealistic colors. 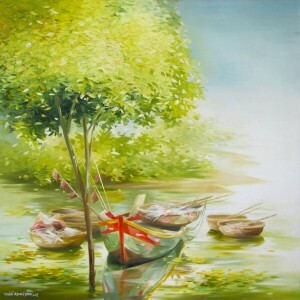 This frame shows two children lazing on giant water buffaloes as they wade through water, a common sight in rural Vietnam. 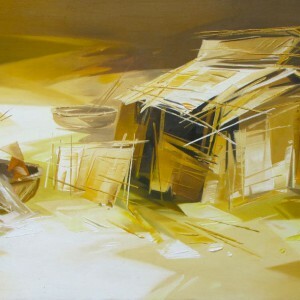 The artist’s perspective has transformed it into a unique modern composition. 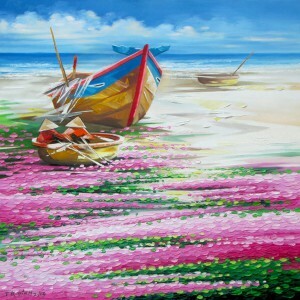 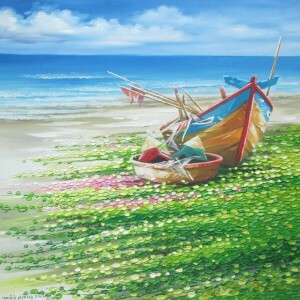 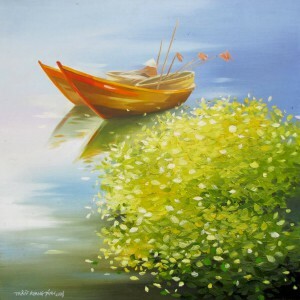 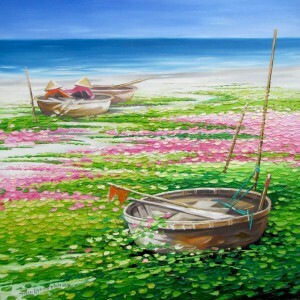 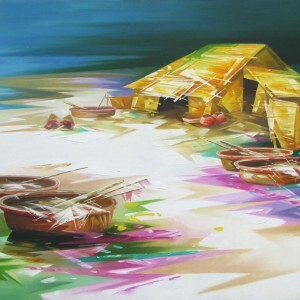 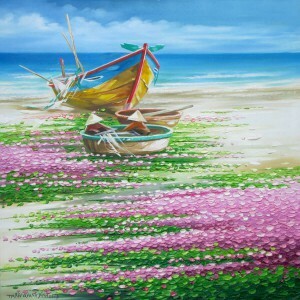 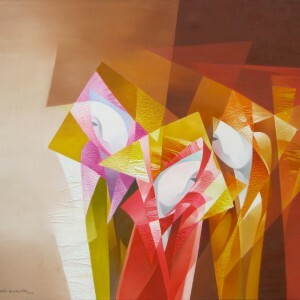 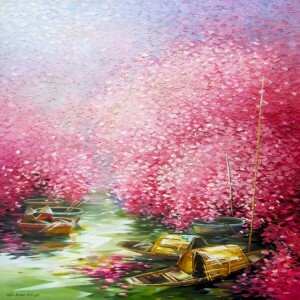 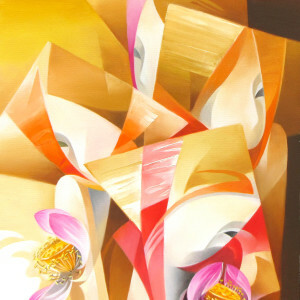 The painting conveys happy, warm feelings.